Emphasis being on the youth of today, shall be the leaders of tomorrow… Meaning that they shall not lead while they are in the youth, they shall lead “Tomorrow” when they are more mature and have already passed the youth stage. Now so today I take a sneak preview on one of our very Youthful Leaders: Gideon Mbuvi Kioko aka Mike Sonko. Well I don’t have history on him now that he ain’t on Wikipedia, plus I can bet he doesn’t have a biography. And neither I’m I willing to do any research. To know how he was able to acquire all his wealth, though I shall without doubt eradicate the thought of him engaging in unscrupulous activities. But really how did he acquire his wealth? Well, he says he hustled and worked for his dad where he earned his first 5million Kenyan shillings, then from the on he’s been on different businesses, garbage collection, matatu business, real estate blah blah — just but a few that i managed to grasp during his press conference at some point on the radio. Anyway so much about his wealth which has now become the main bone of contention, that people forget he was chosen to be a leader not because of his wealth but because of what he can give back to the society in terms of developments and so on…or so I think. But I guess I’m all wrong. Gone are the days that I thought a youth can lead an entire nation and my example of youth being mr.Sonko who is a man of the youth, while at the same time being or acting like a youth. I mean he in bars half the few times I’ve heard him be mentioned (f2, Hornbill and I guess many others) that to me, to be honest is not the role of a leader. Maybe he should borrow a leaf from the others old ones who we criticise. Instead he should be somewhere cracking his head on innovative strategies in which he can create employment to the huge mass of unemployed youth in his constituency. Instead of busy spending his 1000bobs or petty cash on buying youth alcohol. I think a leader who is visionary comes in with strategies. And if he had the youth at heart, his mission would be to develop them, from the word go. As I say education is important in this case. There are some values one learns that guide you through certain aspects of live. 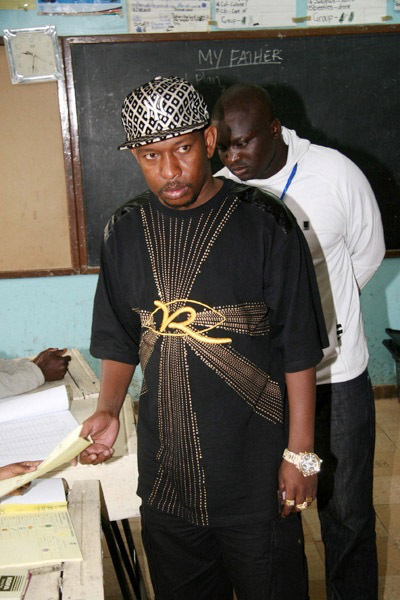 Mr.Sonko wants to run for the senate position come 2012…YAAAY! To be honest given an opportunity I would vote for him NOT! I read somewhere that he volunteered to serve as Member of Parliament without drawing a salary. Dude is a Milli/Billionaire…if he was poor and he did that, I would be very perplexed. Being an MP is not a voluntary job *Ask Margaret Wanjiru, John Michuki, Njoki Ndungu, Martha Karua* —> It’s not voluntary, you’ve got to work for it maen and also work at it!! I would really like to hear the reasons as to why people voted Sonko in. Because so far I have heard nothing that would make me vote for him. And I do not see any prospects of him doing anything in the next 3years I hope he proves me wrong. Besides wearing bling and looking stinking rich and attending teenage events to give awards, or 1000bobs to youth to paarttey…so far those are the only ones I’ve heard. His first major hit being assaulting a Dj. A youthful leader, of whom majority of his youth counterparts vote him in would not in his right mind watch someone be beat down, considering his bodyguards are armed and way stronger than the opponent. They could’ve just hustled the Dj down and questioned him before throwing blows with an 8yr old screaming at the background. But that’s my view anyway. And at that point, is where I actually thought about it and I was like such a small instance whether it was true or not and I’m not judging him okay probably I am he doesn’t fit in to be a leader otherwise he would’ve handled such a situation in a different manner. Since I’m not hating, let me just say, so far the leaders who I have seen do much for the country are those that are past the youth. They have experienced the school of life and as much as we criticise most of them, they are way better of than some of the young people we have brought in. Just to do a bit of comparison. As much as we complain and criticize, I would love to hear what the old leaders haven’t done that the youth leaders have made any effort to rectify, or are in the process of making any effort??? What different strategies do they have so far?